Today’s engineering systems are highly complex but the typical university curriculum in engineering is often encumbered by mid twentieth century convention. For many professors, a significant part of the answer is better, richer hands-on education, and the undergraduate laboratory is one of the most important targets of their attention. Quanser has been collaborating with leading engineering universities to bring new life and relevance to the modern engineering lab. Quanser systems are more than high performance devices. They are designed to support a pragmatic strategy of hands-on education innovation. At the core of this is a well-earned reputation for delivering flexible, cost-effective solutions through modular design of its product. The modularity of the Rotary Servo product line is a great example of how a sound design can drive effective educational strategy. By adding one of ten unique add-on modules to the base servo motor, professors can extend the reach of their labs well beyond the traditional experiments. The Rotary Servo product line is a prime example of Quanser's modular, cost-effective strategy: it features simple components that can be combined to create complex experiments that offer students new challenges. Students can explore the complexities of flexible beams, or gyroscopic effects, or the dynamics of a multi-DOF system, and so much more. Overall, the design makes it easy to increase the number of stations while exponentially increasing the range of exercises and even courses through the add-on modules. In all, this is a highly cost-effective framework for an institution’s lab road map. For Quanser, however, modularity is more than add-on hardware components. Recently, at the annual Conference of the American Society for Engineering Education (ASEE) in San Antonio, Texas, we demonstrated a unique application of the Rotary Servo system. Called the Quanser Driving Simulator (QDS), this concept demonstration presented a rich automotive application layer via the QUARC® software and its standard library of 3D visualization tools. The Quanser Driving Simulator is a rich and creative application of the modular Rotary Servo system. A true Hardware-in-the-Loop automotive control system, it is presented within a video game-like framework. The concept, on the surface is, “a video game on steroids”. But there is a profound difference. The servo motors have been programmed to represent the speed and position control of a real car. Through software, these motors are then connected to a model of the vehicle dynamics, a racetrack, and a driver model. In essence this is a true Hardware-in-the-Loop (HIL) automotive control system, and the control theory runs through all of these components and the actual relevance of very theoretical concepts become clear and intuitive. Additionally, that video game aspect can increase the motivation aspect as it adds a very familiar and often fun dimension to a lab, all from out-of-the-box components and readily accessible accessories. The Quanser Driving Simulator received a great deal of enthusiastic attention at the recent annual conference of the American Society for Engineering Education. In many ways, the QDS begins pointing to the proverbial dream lab. It combines accessible hardware with meaningful applications and it illustrates how modularity extends into the software aspects within the context of the rotary product line. Beyond the rotary product line, however, is the potential growth via Quanser’s extended line of products that reaches into some of the most exciting and important application areas. The Shake Table series allows you to conduct research or help students comprehend structural dynamics and control principles that can minimize damage from earthquakes. 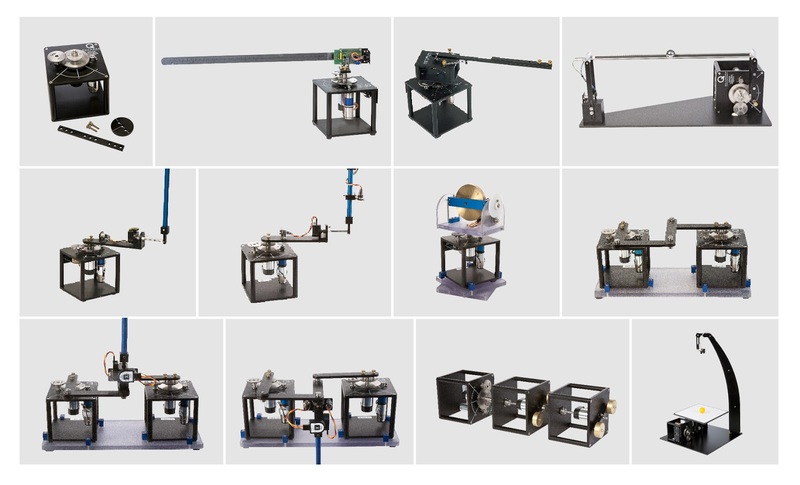 The Shake Table series for earthquake simulation, the Helicopter series for aerospace applications, or haptic experiments for biomedical applications, are examples of Quanser products that can bring a teaching lab, literally, to state of the art overnight. Additionally, these advanced devices are fully capable of supporting advanced research, further increasing the benefits to the institution. The Helicopter series is just one example of Quanser's wide range of products and experiments that can lift a teaching lab to state of the art quality overnight. Like so many of Quanser's products and experiments, they are also capable of supporting advanced research. The Quanser dream lab is fully realized by accessing all the necessary accessories and utilities – DAQ, power supplies, courseware, system models, and more. Quanser fundamentally believes that the best labs are ones that are easy to deploy, maintain, and readily scale, giving instructors and students the time to do what they do best – creatively explore complex concepts.